Mallorcans in general dress well and especially so when conducting business. Smart attire is expected, including suits for men and skirts or trouser suits for women. English is widely spoken in Palma and the resorts but less so elsewhere. Some knowledge of the Spanish language (and perhaps Catalan/Mallorquín) is always appreciated and sometimes essential. Punctuality is important. Greetings are by way of a handshake if you haven’t met before (or between men) and a kiss on both cheeks for women. Tend to vary but base hours of 0900-1330 and 1400-1800 are fairly typical. During the height of summer shops in Palma tend to stay open until 2000 or 2100. Many offices close throughout August or operate much shorter working hours. 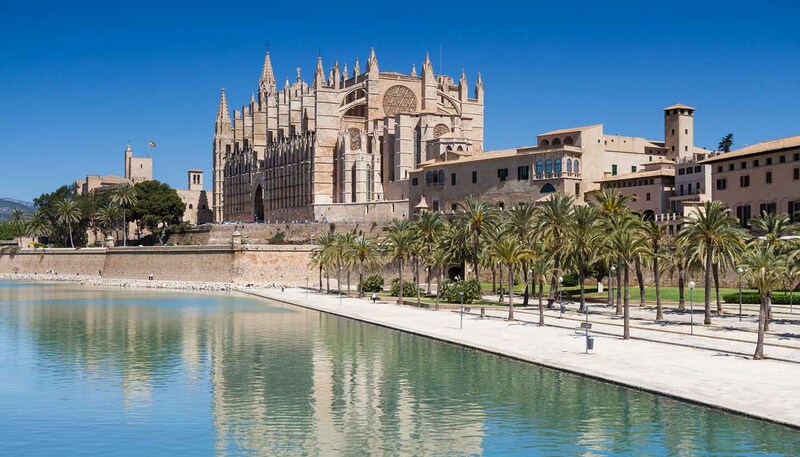 Tourism forms the core of Mallorca’s economy, with most of its tourists arriving from Germany, the UK and Scandinavia. In addition, construction businesses plus the buying and selling of properties and businesses such as restaurants, bars, hotels and shops accounts for a substantial part of the economy. Farming accounts for much of what remains with almonds, potatoes, olive oil, fruit and wine being the main exports. Palma is the commercial centre of the island. Mallorca is a relatively wealthy part of the nation and it is estimated that the island GDP per head is more than 50% above the Spanish average. Olive oil, almonds, potatoes and fruit. France, Germany, Italy, UK and Portugal. Emergency calls: 112. Area codes are incorporated within a nine digit number. Roaming agreements exist with most international mobile phone companies. Coverage is good throughout the island. Internet cafes are growing increasingly rare. Hotels usually offer Wi-Fi, and it's becoming more common in cafes and public areas. Mallorca has newspapers in several languages, the main ones being the Diari de Balears (a Catalan-language newspaper based in Palma), Diario de Mallorca (the main Spanish-language daily newspaper) and the Majorca Daily Bulletin, Spain's oldest English-language newspaper, which is also online at http://majorcadailybulletin.com. There are several radio stations in Spanish and English throughout the islands. There are domestic and international postal services (correos) to all countries, although postal services are not as reliable as on the mainland. Airmail within Europe takes around five days. The main post office in Palma is at Cerrer de Constitucio 5. All the main courier companies are represented on the island including FedEx and DHL. Post Office opening hours are usually Mon-Fri 0800-1200 and 1700-1930. In Palma major post offices open throughout the day and limited hours on Saturday.